I'm over the moon to be hosting my very first giveaway, and for it to have been made possible by my absolutely wonderful friend Shaye! Now, you have probably have heard me talk about Shaye here many times before (because she is awesome and I love her) but also because she was the super talented knitter who made Will's amazing sweater for our wedding! After years of solely selling her stuff at craft fairs and farmers markets she is taking the plunge into the world of Etsy! 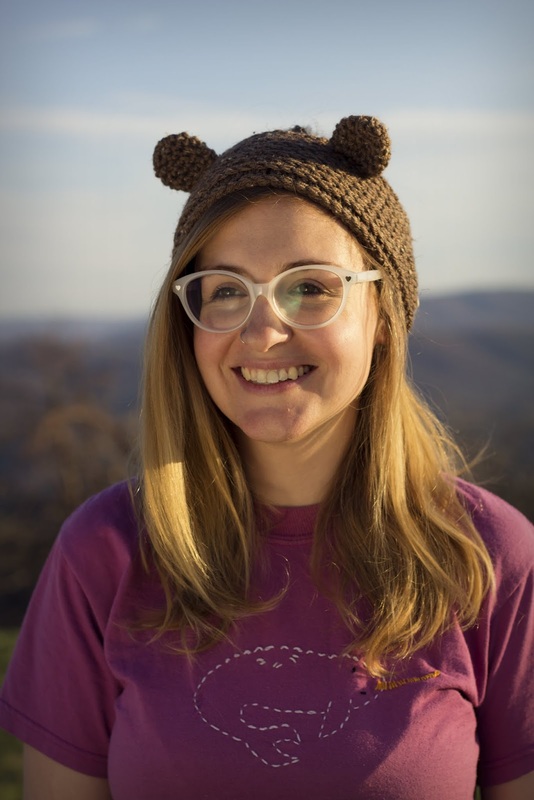 So to open her shop with a little bit of a bang (hopefully) Shaye has made a pair absolutely adorable bear ear headband/ear warmers (just like the one I am modeling) for one lucky Little Lady Little City reader! 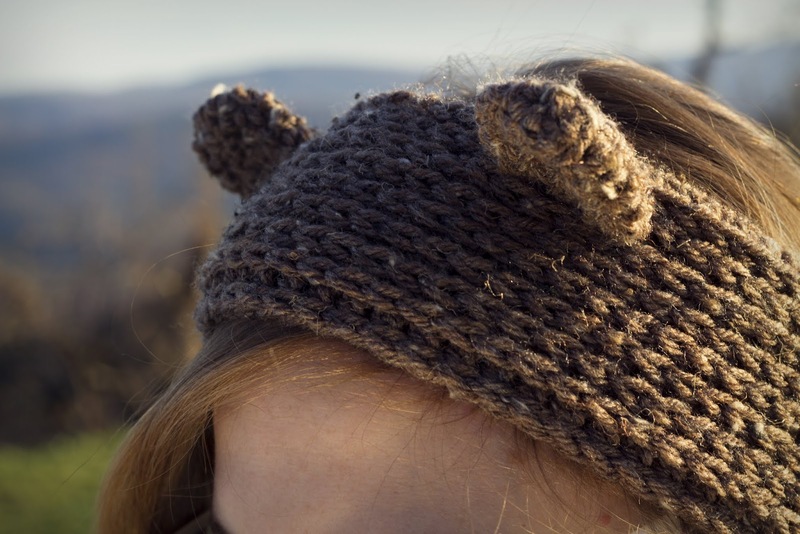 And let me tell you something it does keep your ears nice and toasty while looks freaking adorable too! I mean come one who wouldn't want to call one of these adorable things their own?! The contest is open until the 28th, and winner will be chosen at random. Good luck everyone!! And the winner is Shannon F! Congratulations! Be one the look out for an email from me! And I love the Slouchy beanie! Very cool! The slouchy beanie, boom! My favourite! Your blog is brilliant - I love it! So cute! Congrats on your first giveaway! Bah! So cute! I want to win! The brown fingerless gloves look super warm and comfy! The drop stitch cowl is divine! Stop it. This is way too cute. The slouchy beanie is CUTE! Hehe. These little ears are adorable. I think I could totally pull that look off.. because, well, you know, I'm adorable too, right!? Ha! LOVE the yellow slouchy beanie!!! I love that yellow slouchie beanie you are wearing! So so cute! A hip hip hooray for Shaye for making the leap to Etsy! I like the yellow Slouchy beanie! those are so cute! i hope she does well on etsy! 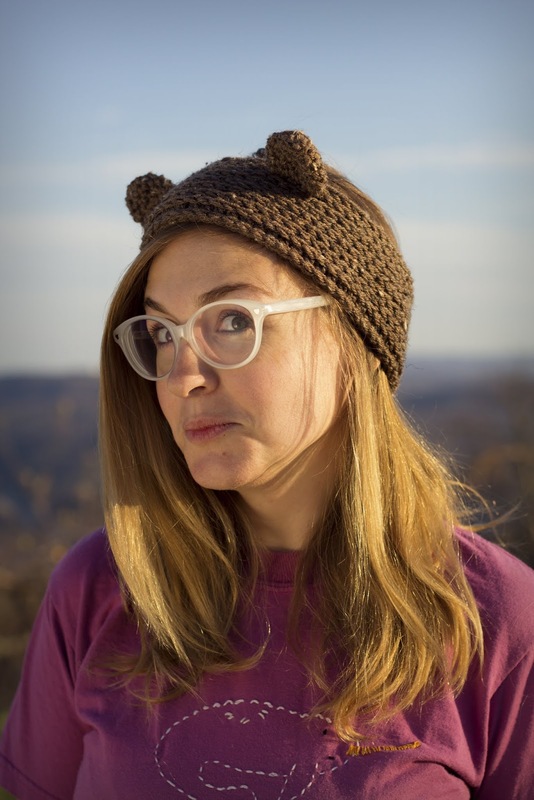 the Off White Slouchy Beanie is adorable! Super adorable!!! I love it! Oh my goodness! The slouchy beanie is perfection! Love it! I loved the fingerless gloves and the pink bow tie headband. Love the drop stitch cowl! I honestly can't decide between a headband or a slouchy beanie! I'm obsessed with winter headwear!